Mat is a young entrepreneur from California, passionate about exploring the intersection between real estate and tech. Having moved to New York to pursue his real estate career at a young age, Mat leased over 50 apartments in his first year in the business. 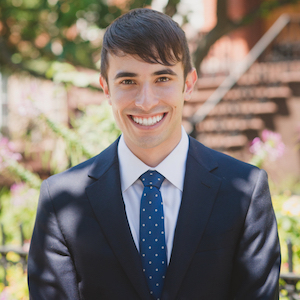 Since then, he joined Compass in its first year in 2013 working on a team with 150 rentals under his belt in his home neighborhood of the East Village, then made the transition to the successful Barak-Blackburn team specializing in Williamsburg. With this team, Mat has sold over $200 million worth of listings in two years, including such high-profile developments as 139 Meserole(8 units), 245 Manhattan(10 units), 764 Metropolitan(10 units) and the lease out of the Soda Factory Lofts (40 units) at 60 Berry. An avid traveler, explorer, and people-person, Mat uses his charisma and interpersonal skills to develop connections with his clients that help him find the best property for each individual. Coupled with his savvy knowledge of the market and drive to find the best deal possible, he is a resource for hospitality and financial sustainability. When he is not exploring real estate, Mat enjoys practicing yoga, discovering cool places to eat and exploring new cities around the world. Welcome to 338 Berry Street, authentic loft living in South Williamsburg. Converted from an early 20th-century noodle factory (later used as artists' lofts), 338 Berry Street is a fortress of thick concrete floors and striking columns. Perched high above the edge of the East River, this custom built penthouse offers sweeping water and Manhattan views that perfectly complement its exquisite interiors. After a complete renovation orchestrated by acclaimed interior designer Nathan Andrew, this sumptuous yet minimalist home welcomes you with thoughtful details around every corner. Each beautiful surface beckons your touch; exquisite marble slabs, custom-cut, ceiling-height black lacquered oak doors, chromium finished Fantini bath and kitchen fixtures, and grey oak LV wide plank floors.